Just past the halfway stage in the 2009 Maxi Yacht Rolex Cup and the frontrunners are beginning to show their colours. The jostling for pole position is entering the decisive phase. 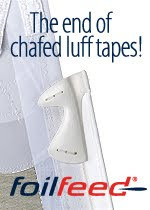 Only two days of racing left and if you have not made your move by now, it may well be too late. Top jocks going into tomorrow's layday are: Velsheda (GBR) in Cruising/Spirit of Tradition; Alfa Romeo (NZL) leading the Owner/Driver and the Overall Mini Maxi Racing Divisions; Roma-Aniene (ITA) heads up Racing/Cruising, whilst Whisper (IRL) has a stranglehold on Mini Maxi Cruising/Racing. Y3K (GER) has crept steadily ahead in Wally. 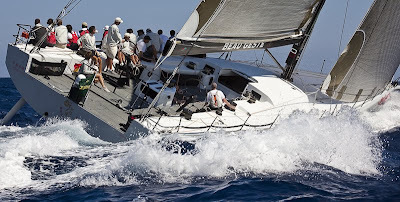 Day 3 of the 20th edition of this big boat classic organised by the Yacht Club Costa Smeralda was an easier day for some, but hard day for others. The sea state had eased considerably as had the wind, a more reasonable 12-15 knots. A splendid day to be sent on a 36 nautical mile quest up the outside of the archipelago to Barrettinelli, a downwind dive past the islands of Santa Maria and Budelli before an anticlockwise rounding of Spargi to pop back outside at Punta Marginetto at the top of Maddalena and a reach back to the finish off Porto Cervo. All participants except those in the Mini Maxi Racing division took on this challenge. The more souped-up duellists in this category were detailed some close-quarter combat over two 10-mile windward/leeward courses where tactical manoeuvres were critical. The day's race winners on the distance course were Claus Peter Offen's Y3K (Wally), Ronald de Waal's Velsheda (Cruising/Spirit of Tradition), Michael Cotter's Whisper (Mini Maxi Racing/Cruising), Filippo Faruffini's Roma (Racing/Cruising) and Karl Kwok's Beau Geste (HKG) in the combined Racing & Racing/Cruising. On the short course, Udo Schütz's Container (GER) threw off her troubles of yesterday and took a morale-boosting victory in the first race, beating Neville Crichton's Alfa Romeo by five seconds on corrected time. Alfa, in turn, pushed Ràn (GBR) into third by just one second and that was achieved on the last gybe of the last leg. In the second race, Alfa took the win by over a minute on corrected time from Ràn. Significantly, for Crichton this excellent day has lifted him and his crew into pole position by one point in the overall Mini Maxi Racing (00) Division and by two points in the all-important Owner/Driver Division. Hap Fauth's Bella Mente (USA) leading the Owner/Driver Division this morning had a poor first race today and now lies in second in that grouping. If Bella Mente's crew is licking their wounds tonight, the crew of Luna Rossa (ITA) will be applying stitches and sticking plaster to theirs. Two last places in the Overall classification is poor change for this all-pro crew and has relegated it to fourth, behind Ràn and Bella Mente. Neville Crichton was understandably in an ebullient mood stepping ashore after racing, "today was windward/leeward courses, the lead changed several times, it was proper racing. The wind was a bit shifty. You'd be thinking you were famous, then suddenly the boat that was behind you was ahead. But it was the same for everybody on the track and everyone had a chance of winning today." Tactician Michael Coxon echoed his master's voice on the short course option, "it was really enjoyable racing going from coastal races to the windward-return courses. It was a tricky race track with a lot of shifts and pressure up and down. The leads were changing regularly and I think everyone enjoyed it big time." Coxon admitted to getting it wrong a few times himself particularly in the first race where a misplaced gybe threw away a hard won lead, but he was pleased with the way they scrapped back up the fleet to secure second. Coxon is not alone in the Maxi Yacht Rolex Cup fleet in having to provide tactical information to two helms. The Maxi is a mighty beast to steer all-race long. Crichton tends to take the wheel on the upwind segments and handover to multiple Olympic medallist Ben Ainslie on the downwind legs. For Coxon this is taking some getting used to, "Neville and I have sailed together for many years. He waits for my call on things and we have a good rapport. Whereas with Ben, who I regard as one of the best helmsman I've ever sailed with, I'm a bit quieter. This is actually funny because he's wanting more information and I guess I'm a bit intimidated, so we're working on improving the communication relationship." In acknowledging the difficult conditions on the course, Ainslie is quick to compliment Coxon for a job well done, "the wind was quite fickle, but Michael did a really good job", but he too points to the need to improve communications on the boat, especially when changing helm, "sometimes it's especially hard making sure we know what we're trying to do." In the Racing/Cruising Division, Roma has taken three bullets to date. Interestingly, for a Maxi the owner, Filippco Faruffini, is the mastman onboard - a much more physical role than those with which owners are usually associated. Naturally, he is pleased with the way the week is progressing, "we are pretty happy because we are a crew with only 6-7 professional guys and all the other guys are friends. I am used to sailing with a fully professional crew, but what we miss with experience we make up for in enthusiasm." Faruffini also delights in his boat, which races well, but only two weeks ago he was cruising with his family. Tactician for the week is the inimitable Vasco Vascotto, another used to sailing with all-pro crews. He too is enjoying the experience, "I'm very happy. As a crew we get better and better every day, so the feeling is very good. There is plenty of passion now and everybody feels that everyone can help each other and that's a good thing. I try to help our guys to push in the right direction, to choose the right way to sail this boat -- it looks like it's working!" Y3K is another boat doing very well. A third place on the first day has been followed by two firsts and a two-point lead over Open Season (GER). Claus Peter Offen only collected his boat from the builder in July, so it is a pleasant surprise to be leading, "the boat is absolutely running within our expectations, which is good for a brand-new boat when you always have to expect some technical problems. Even on the first two days in the hard conditions we had no problems at all. I would say we have prepared ourselves efficiently, but you never know and we might have had some luck." It has not all gone to plan. In today's race which Y3K won on the water and handicap, Offen and his crew took up a new sport, "about six miles to go we saw a fishing net near to our boat and wondered if it became attached. Because the wind was dropping, our speed was already dropping, so we were not certain whether this had to do with the net or not. It was not until we got back to the harbour that we confirmed it was caught." Was there anything in it? "We're hoping to find two lobsters". With two more days of racing left the Maxi Yacht Rolex Cup is far from over and the competitors will be making the most of tomorrow's rest day to recuperate. The final races have plenty of scope for the A-listers to become D-listers. Those hoping to win the Rolex Chronometers and have their names inscribed on the Cups still have some work to do. Racing continues on Friday, 11 September with the first signal scheduled for 11.30 CEST. The Maxi Yacht Rolex Cup, organized by the Yacht Club Costa Smeralda in conjunction with the International Maxi Association (IMA), will run from 6 to 12 September. The prize giving on Saturday will be the culmination of an intense week of big boat racing. From the most luxurious, through the most traditional, to the most advanced monohulls afloat today, the Maxi Yacht Rolex Cup is nothing if not an astonishing line up of sailing power. 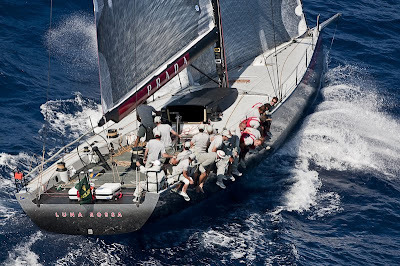 For more information about the Maxi Yacht Rolex Cup 2009 including entry lists and results please visit www.yccs.it.